NOTE: NEW DATES: Saturday and Sunday, May 25-26. 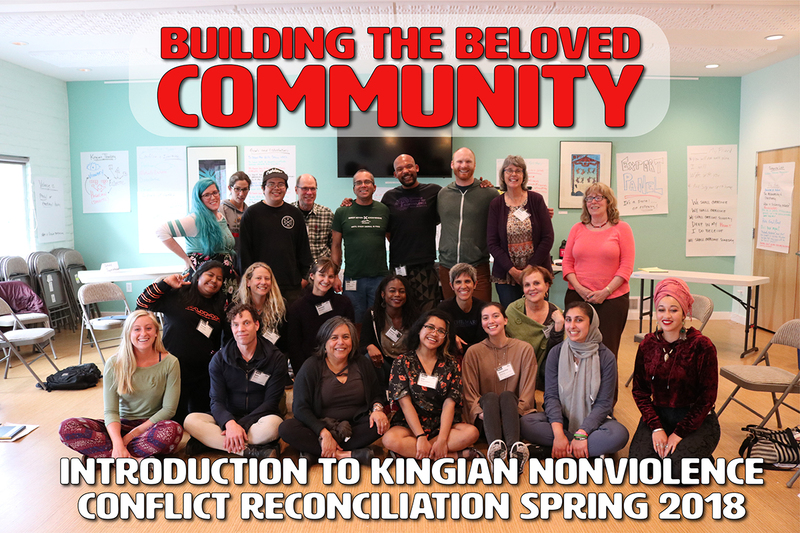 Now is the time to explore Kingian Nonviolent Conflict Reconciliation and gain the skills needed to peacefully and effectively transform the seemingly endless violence in the world around us. Breakfast and lunch provided each day! This training will be paid for via a gift economics model, similar to a sliding scale. We’ll go over more about what this means at the training. Kingian Nonviolence is a philosophy and methodology that provides the knowledge, skills and motivation necessary for people to pursue peaceful strategies for solving personal and community problems. Often mistaken for being simply the absence of, or opposite of violence, nonviolence is a systemic framework of both conceptual principles and pragmatic strategies to reduce violence and promote positive peace at the personal, community, national and global levels.